Charles Henry Stratton, the founder and driving force behind the Stratton Carriage Body Co. of Muncie, Indiana and its predecessor, the C.H. Stratton Carriage Co. of Buffalo, New York and Salem, was born in Monroeton, Bradford County, Pennsylvania sometime during the early 1850s. After a public education Stratton was apprenticed to a local blacksmith and carriage builder and in 1872 established his own wagon, farm implement and blacksmith shop in Monroeton. 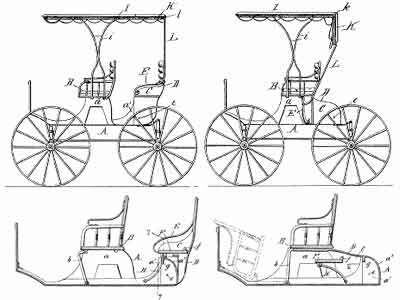 Stratton was a skilled engineer and starting in 1874 received a series of patents on farm implements, carriage seats and wagon bodies. He relocated to Salem, Ohio in 1876 where he established the C.H. Stratton Carriage Co. at the corner of W. Main St. and 15 Jennings Ave. His younger brother Franklin eventually joined him and by the mid 1880s they were shipping large numbers of their patent jump seats, jump seat irons, wagon gear, and combination carriages to numerous carriage builders and resellers across the country. They claimed to be “The largest carriage company in the world making exclusively family carriages”. “B.P Angel, of Buffalo, N.Y., who was here the latter part of last week for the purpose of completing arrangements for the organization of the C.H. Carriage Company, left for home Saturday evening on the 4:15 west bound train. For some time past negotiations have been in progress between C.H. Stratton of this city and capitalists of Buffalo who are interested in the International Carriage Works at that city, but it was impossible to forsee how these negotiations would terminate and for that reason we have hitherto refrained from saying anything about the prospective enterprise. We can now say that all the details have been satisfactorily arranged, and that all the necessary papers have been signed. “The new carriage company will be known as the C.H. Stratton Carriage Company, and will be composed of five members, C.H. Stratton, Franklin Stratton, B.P. Angel, I.P. Thorn and another gentleman yet to be admitted. C.H. Stratton will retain a controlling interest in the company. The company will have a business at Buffalo, and another at Salem. The mechanical force employed here will be doubled with as little delay as possible. Five new hands have already been employed. Whether the buildings here will be enlarged will depend on circumstances. If it is found that the work can be done cheaper at Salem than at Buffalo, the work will be done here, and the factory here will probably be replaced by a more spacious and imposing structure. “C.H. Stratton will remove to Buffalo and reside there. His brother, Franklin, will remain here and will manage the factory here. 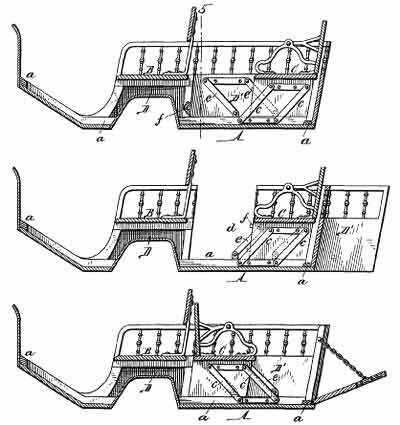 The Buffalo members of the firm are interested in the International Carriage Factory at Buffalo, and a part of the Stratton carriages will be made by the International Company. The bodies of the combination carriages will be made here, and the rest of the work will be done at Buffalo. The intention of the new firm is to make three-thousand combination bodies here within the coming year. “The Stratton Carriage Factory Changes its Base. The April 8th, 1891 Salem Daily News announced that the former Stratton works had been rented to Henry Z. Thomas. However, shipments of existing carriage parts and bodies from Salem to Buffalo continued throughout the remainder of the year. Things did not go well in Buffalo, and the October 9th 1895, issue of the Buffalo Courier announced the voluntary dissolution of the firm, and stated that the firm’s creditors were launching proceedings against B.P. Angel and I.P. Thorn. Stratton remained undaunted by the bankruptcy and relocated to Muncie, Indiana in 1898, where he established the Stratton Carriage Body Company on April 26, 1899. 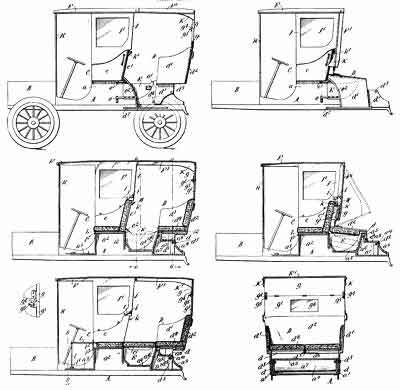 Stratton was well-known in the wholesale carriage business and in no time at all he found plenty of customers for his bodies, seats and hardware. In January of 1903, the Stratton firm made national headlines when an outbreak of mumps forced the temporary closure of the factory. By that time Stratton had already begun supplying convertible tops, seats and bodies in the white to many of the region’s pioneer automakers. Stratton entered into negotiations with a group of Wabash, Indiana businessmen in the hopes of establishing a factory there to build the Stratton car, but the financing fell through, and Stratton decided to stick with building automobile bodies. During his many years in the carriage business he had designed and manufactured a number of clever transformable seats and carriage bodies. His infatuation with seating continued into the automobile age, and he introduced a number of novel seating conventions. "... the nuisance of hauling friends about on their business when the owner of the car has urgent business of his own to transact." Stratton’s body building operation was a one-man show, and his firm accompanied him to the grave.